US President Barack Obama is not the Antichrist, although he may play a role in end time bible prophecy. In the bible the Antichrist is not identified as a President or king or primary ruler. The Antichrist is identified as a secondary ruler that will ultimately become the head of the final gentile world empire. US President Obama was a senator for a short time but he is best identified in his role in world politics as a king or president. The Antichrist is primarily a prince or secondary ruler. He will become king of the next World Empire; otherwise known as the “New World Order”. The New World Order is a world government that probably covers the same territories as the ancient World Empires covered; namely from Europe to India. So the US may not be part of the next World Empire. The Antichrist is called a “little horn” in Daniel 7:8. Horns commonly represent kings in bible prophecy. The “little horn” is a secondary ruler, for instance a prince, vice-president, or governor. The term “little horn” is applied to Antiochus Epiphanies in Daniel 8:9. Antiochus Epiphanies was the son of “Antiochus the Great” the king of the Seleucid Dynasty. The Seleucid Dynasty ruled over one quarter of the Grecian Empire. The Seleucid Dynasty was headquartered in Antioch of Syria which is now part of Turkey. Antiochus Epiphanies was initially a prince in the Seleucid Dynasty until he manipulated his way onto the throne. The “little horn” in Daniel chapter 7 will evidently take away or usurp the authority of three of the first ten kings that rule over the next World Empire. This “little horn” has a “mouth speaking great things”. He blasphemes God, “showing himself that he is God” (Daniel 11:36-37). This little horn is obviously the Antichrist (1 John 2:18). By the way, the Antichrist will do many of the same things that Antiochus Epiphanies did. He will conquer Egypt and ransack Jerusalem. The Antichrist will stop temple sacrifices in Jerusalem just like Antiochus Epiphanies did in 167 BC. Jesus returns to the earth in fury at the end of Jerusalem’s Great Tribulation. He dismantles the next World Empire and tosses the Antichrist into the “lake of fire”. The Antichrist will be the first resident of the “lake of fire”, along with the “False Prophet”. Daniel chapter 7 describes four kings that combine their kingdoms together to create the next World Empire. The first kingdom is represented by a lion with eagle’s wings. I think that this lion with eagle’s wings represents England since a lion with eagle’s wings is actually on their national crest. In the verse below, the eagle wings were plucked off. The eagle is the symbol of the United States. In 1776 the United States (eagle) separated from England (lion). I’m not sure but the eagle wings in Daniel 7:4 may indicate that the United States will assist England in the formation of the next World Empire. A US leader may participate in the creation of the final gentile World Empire or “New World Order” but probably as an adjunct member. This US leader may be President Barack Obama or perhaps Obama will play a different role. It may be that Barack Obama will be one of four primary “Kings” that create the “New World Order” but perhaps not as a US President! Turkish President Erdogan is endeavoring to create a new Islamic Union! That is why he wants to invade Syria and remove Syrian President Assad from power. The first four nations to join this new Islamic Union are likely to be Turkey, Syria, Iraq, and Iran (notice that the leopard in Dan 7:6 has four heads). This may be the leopard described in Daniel chapter 7. Current world events regarding this verse compelled me to write my commentary titled “The Leopard is Upon Us!” I believe that the confederacy of nations represented by a leopard in Daniel 7:6 is about to be formed. According to my interpretation, the beasts in Daniel 7 represent coalitions of nations and empires. Currently no nations are symbolized by the leopard. However in November 2014 Turkish President Erdogan announced his intentions to form a new Islamic Union. This Islamic Union could be symbolized by the leopard. Barack Obama has described Turkish President Erdogan as the US’s “most trusted ally”. Barack Obama and Turkish President Erdogan are very close friends. I am not predicting this and there is no biblical evidence to support this theory; but Barack Obama may participate in this new Islamic Union in some way. This is just a wild guess but Barack Obama could even become the king over the new Islamic Union. Barack Obama is also spearheading an effort to form a confederacy of four nations: Pakistan, India, Afghanistan, and Turkmenistan (please note that the leopard also has four wings). There are several reasons for doing this, not the least of which is that Turkmenistan wants to build the world’s largest natural gas pipeline to the Arabian Sea. The beginnings of this confederacy already exist. It is called TAPI (Turkmenistan, Afghanistan, Pakistan, and India). This confederacy centers on The Trans-Afghanistan Pipeline. If you will remember that former Pakistani President Pervez Musharraf was served an arrest warrant for the Benazir Bhutto assassination. Musharraf fled Pakistan and was exile in London and Dubai. He was never tried. He is now back in Pakistan. Well former Pakistani President Pervez Musharraf has gleefully expressed his desire to have US president Barrack Obama as their “Supreme Leader”. Perhaps Barrack Obama will become ruler over these TAPI nations. Maybe he will become king over the leopard? Or perhaps he will just retire to Hawaii. 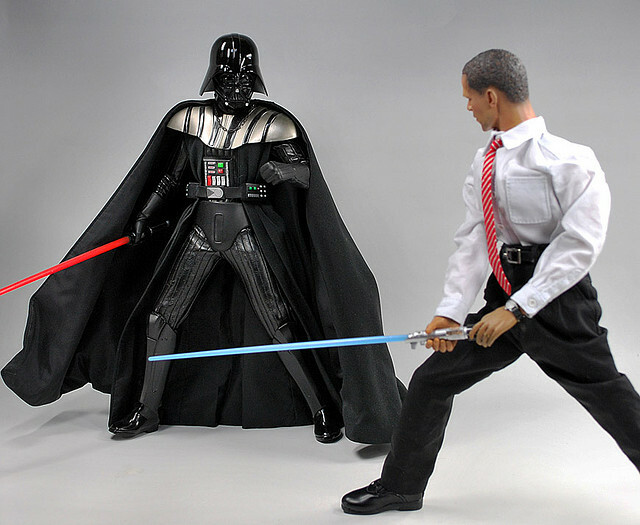 The latest news is that Obama wants to become the UN Secretary General at the end of 2016. Perhaps Erdogan and Israel will make a peace agreement with the UN. Perhaps the UN is “the many” spoken of by Daniel. The Antichrist is primarily identifiable as a prince or secondary ruler. US President Barrack Obama is best identified as a king or primary ruler. Barack Obama is not the Antichrist but that doesn’t mean that he won’t play a role in end time bible prophecy. By the way newly elected Turkish President Erdogan has been President of Turkey for just six months. On the other hand Erdogan served as Prime Minister of Turkey for twelve years. So Erdogan’s role in world politics would best be identified as a chief prince. Ezekiel 39:1 identifies the Antichrist as the “chief prince” or primary governor among the provinces of Turkey! Welcome to 2014. Bible prophecy is unfolding everywhere. The heathen are raging in the Middle East. Egyptian is fighting Egyptian. Christians are being killed and tormented more than ever. The New World Order is old news. An international security agreement and Palestinian state are being forged for the nation of Israel. All of these events have been foretold in bible prophecy. 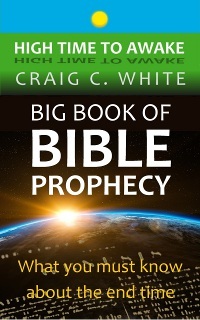 My book Bible Prophecy 2014-2015 tells us what to expect in the coming two years! Greyg, Obama Wants To Become UN Secretary General in 2017. Obama is not the Antichrist? Just out of curiosity, do you think Obama will take most of his current white house staff with him, like Biden & Lynch, when he moves to his next position? I think that given Biden’s age, his recent loss of his son, weariness, etc., that he will most likely retire after Obama leaves office. I know this sounds insignificant in the greater scheme of things, but could Obama’s current loyal followers play also play a larger role for him after office? Beats me. Obama wants to be the head of the UN beginning in December. It’s sad how famous and influential people like John Hagee and Michelle Bachman stubbornly and adamantly assert that Obama is the Antichrist, despite offering them your Biblical evidence to the contrary. I recently ran into more people on You Tube who virulently opposed the notion that Erdogan is the Antichrist. In a way, it’s almost like they simply refuse to listen to reason and try to “shout down” electronically/virtually the truth all over the internet.